As it turned out, it was a timely reference to Chuck Knox, who died today at age 86. Knox was an old-school football man who used the running game to become the first coach to lead the Seahawks to the playoffs. Knox immediately turned the Hawks into contenders when he arrived in 1983, took them to the playoffs four times in nine seasons and ranks second in wins (80) behind Mike Holmgren (86) and just ahead of Carroll (79). Knox, who also coached the Buffalo Bills and Los Angeles Rams, ranks 10th in wins (186) among coaches in NFL history. The two hefty takeaways from the Seahawks’ signing of Eddie Lacy were: (1) They want him to pound the ball; (2) they want him to drop some pounds first. To that end, the team instituted $385,000 in weight clauses for the running back — giving him specific targets from May through the season. Weight clauses are nothing new in the NFL, but the way they are handled certainly has changed — for teams like Seattle anyway. Well, Paul, it looks like you won’t have to wait much longer. Easley has been nominated by the seniors committee, meaning he has a great chance to make it next February. You could call it an 86 percent chance. And if not this time, then maybe in a few years. 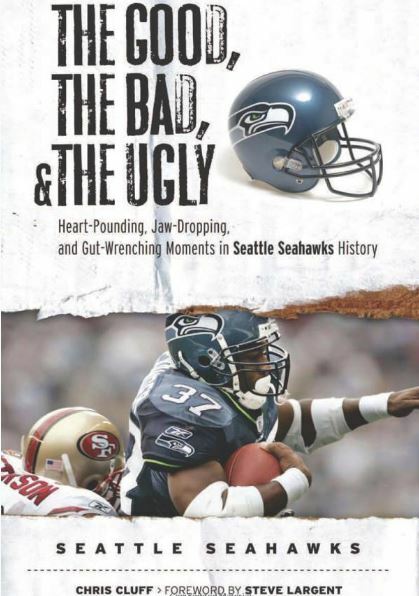 As stunning as it still is to consider, this is the best all-around team in the history of the Seattle Seahawks. That’s odd to say about a 10-win team — and it would be odder yet if this team had not made the playoffs. Thirty years ago, it wouldn’t have. 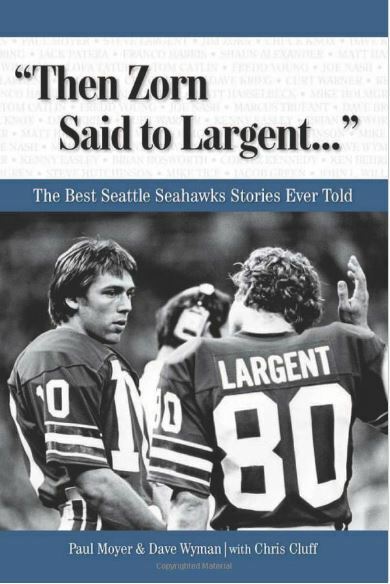 Thirty years ago, in fact, a red-hot 10-6 Seahawks team did not make the postseason. These Seahawks, who have won six of seven and have averaged 32 points over the past eight games, are the team no one wants to play in the playoffs (even if Arizona GM Steve Keim says he does). 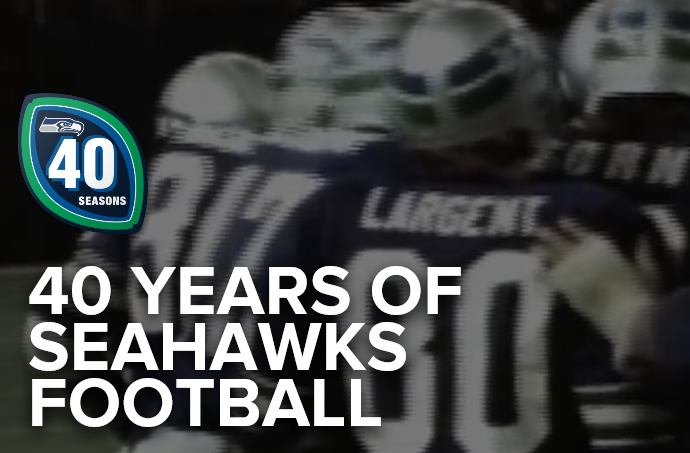 In case you hadn’t heard, the Seahawks are celebrating their 40th anniversary. They have put together a website to look back at every season and are unveiling them a few at a time. The Seahawks had fans vote for their favorite 40 players this summer, and 32 of them were honored in person at halftime of the home opener on Sunday. 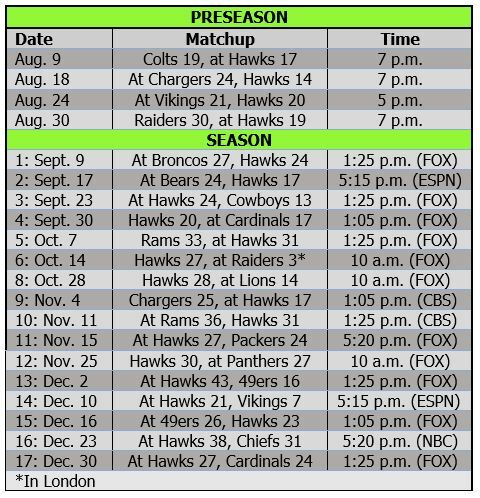 We’re guessing the eight others are still playing — either with the Seahawks or with other teams (e.g., Matt Hasselbeck of the Colts). It was great to see former stars Sam Adams, Shaun Alexander, Jordan Babineaux, Brian Blades, Chad Brown, the late Dave Brown (via wife Rhonda), Jeff Bryant, Dan Doornink, Kenny Easley, Jacob Green, Darrell Jackson, Norm Johnson, Walter Jones, Cortez Kennedy, Dave Krieg, Steve Largent, Warren Moon, Paul Moyer, Joe Nash, Rufus Porter, Steve Raible, Shawn Springs, Mack Strong, Robbie Tobeck, Marcus Trufant, Manu Tuiasosopo, Curt Warner, Chris Warren, Ricky Watters, John L. Williams, Dave Wyman and Jim Zorn. Jackson, the top receiver on Mike Holmgren’s teams, raised the flag for the home opener. He said the Super Bowl XL loss still bugs him.